for $4,600,000 with 5 bedrooms and 5 full baths, 3 half baths. This 8,637 square foot home was built in 2008 on a lot size of 1.10 Acre(s). 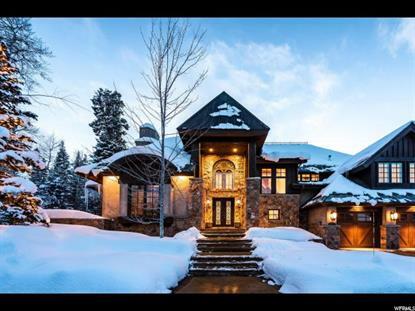 You will be thoroughly impressed by this stunning ski-in and ski-out architectural masterpiece located in the distinguished community of Dutch Draw/Timbers at Canyons Village, the vibrant base of Park City Ski Resort. This elegant mountain lodge is nestled gently in the trees, providing a sense of seclusion and privacy, yet still offers mountain views. The thoughtful and open floor plan features a main level Master Suite with private access to the back patio and hot tub. Amenities of the home include a wine room, library, theatre room, fitness room, & a lower level family room with a full bar. Additional features: heated patios & driveway, security system equipped with perimeter cameras, Control4 system allowing for home automation controlled via your smartphone or iPad, dual heating system plus A/C, 3-car garage, gas generator, and the list goes on. Where else can you find a custom home with direct ski access, easy accessibility to town and Canyons Village, and a secluded setting? The multiple listing information is provided by Wasatch Front Regional Multiple Listing Service, Inc. from a copyrighted compilation of listings. The compilation of listings and each individual listing are © 2014 Wasatch Front Regional Multiple Listing Service, Inc., All Rights Reserved. The information provided is for consumers' personal, non-commercial use and may not be used for any purpose other than to identify prospective properties consumers may be interested in purchasing..